Annapurna base camp trek with Tilicho Lake with Pink Mountain Treks and Expedition takes you to the world’s highest lake in the Manang District of Nepal. 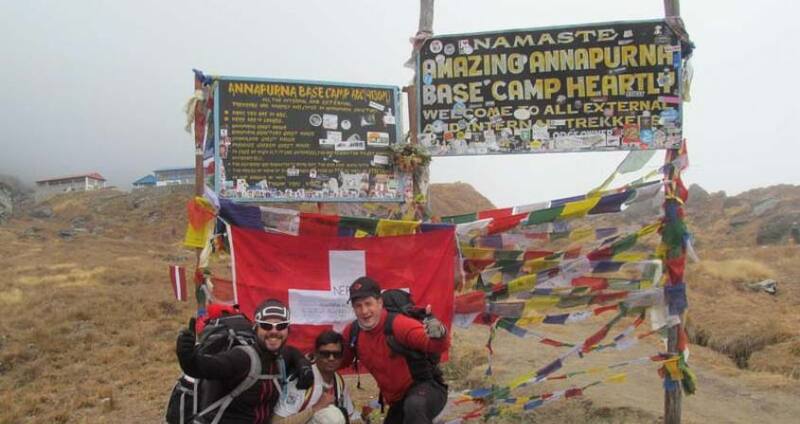 The first part of the trail is to the Annapurna circuit. However, from Manang you will go to the mail valley to the west and trek up to the Tilicho Lake. Your trail again joins the Annapurna circuit route and crosses the Thorong La pass, one of the highest passes in the world. On our Twenty day journey we pass through forests, cross pristine meadows, experience the change in vegetation, all the while being in the company of the glorious Himalayas. Day 01:Arrival in Kathmandu.Welcome by representative of Pink Mountain Treks and Expeditition.Proceed to Hotel. overnight at hotel in Kathmandu. Day 03:After breakfast proceed on sightseeing tour to Pashupatinath temple, the holiest shrine of the Hindu people where the non Hindu people are not allowed to get inside the temple and they are allowed to witness the temple from the view point, situated on the opposite side of the main temple. Later, proceed to Boudhnath stupa, the Buddhist pilgrimage and biggest of it’s kind in Asia. Later proceed on sightseeing tour to Bhaktapur city, also known BHADGAON and the city of devotees. It is the third major city of Kathmandu valley and in many ways the most medieval city. These all monuments are listed on UNESCO WORLD HERITAGE SITE. Day 04:Drive or fly to Pokhara from Kathmandu. . Afternoon Pokhara valley sightseeing. Day 28:Fly back to your destination. Day 1Arrival in Kathmandu.Welcome by representative of Pink Mountain Treks and Expeditition.Proceed to Hotel. overnight at hotel in Kathmandu. Day 3After breakfast proceed on sightseeing tour to Pashupatinath temple, the holiest shrine of the Hindu people where the non Hindu people are not allowed to get inside the temple and they are allowed to witness the temple from the view point, situated on the opposite side of the main temple. Later, proceed to Boudhnath stupa, the Buddhist pilgrimage and biggest of it’s kind in Asia. Later proceed on sightseeing tour to Bhaktapur city, also known BHADGAON and the city of devotees. It is the third major city of Kathmandu valley and in many ways the most medieval city. These all monuments are listed on UNESCO WORLD HERITAGE SITE. Day 4Drive or fly to Pokhara from Kathmandu. . Afternoon Pokhara valley sightseeing. Day 28Fly back to your destination.